MOA has prepared and planned a full schedule of concerts for the fiscal year 2014 (F2014) season, to be presented when the labor contract is resolved. A copy of the full F2014 Concert Program is enclosed as Exhibit A. Actually, in most cases with guest conductors…SINCE WE HAVE NO MUSIC DIRECTOR. Coming to Orchestra Hall in 2014! Chris Botti, and George Winston. So long as the labor dispute continues, programs planned for the Minnesota Orchestra, of course, will not be held. When a new labor contract becomes effective, MOA will promptly reinstate this programming, subject to any modifications needed if planned guest artists are no longer available. 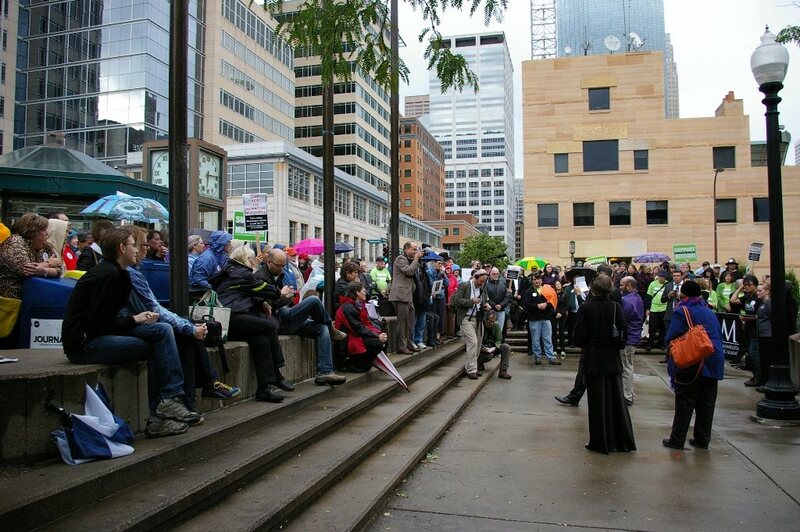 MOA hopes that all other F2014 planned concerts involving artists other than the Minnesota Orchestra will move forward, unless such artists cancel performances due to the labor dispute and in response to anticipated pressure from the musicians’ union and/or other third parties. Yeah, artists won’t cancel just because of the labor dispute and in solidarity. They’ll cancel “in response to anticipated pressure” of the brutal hardball tactics of…Save Our Symphony Minnesota? Musical acts from all around the world fear the great power of this omniscient third party. As previously noted, MOA has prepared plans for F2014 along two separate paths, depending on when the labor dispute is ultimately resolved by mutual agreement, to ensure it keeps music alive in Orchestra Hall. In addition to its efforts to maintain and present performing arts events scheduled as part of its regular season (discussed above), MOA has aggressively sought to add performances to increase the music activities and events in the Hall. Annnnd, how is that aggressive seeking working for you? Hmm. Not so well, then. I’m guessing four of those ten performances are the Concordia and St. Thomas Christmas performances. I hear they’re disappointed to have to use the hall, but they’d be out thousands if they canceled now and tried to find a new venue. They are in a truly impossible position. Also, I highly doubt they will return to Hall until the labor dispute is settled. So something to keep in mind if the MOA wants us to use this data to extrapolate into the future. As for the other six, who wants to bet that most of those will ultimately be canceled or postponed? Question: does one of them include the 2014 Symphony Ball, since we now know that Symphony Ball is a public performance? Will Belladiva return, or will the MOA get Duke Ellington? I’m on the edge of my seat!!!11! For example, MOA is in discussions for a prominent music group to perform a five-concert series during F2014. Oooo. In discussions, huh? A prominent music group? Could it be…the Three Munchkins, with tap-dancing bassist Dicky Davis? It is also making arrangements for the Hall to be available for performances by other music groups, including professional, community and school orchestras, choruses and youth groups. First of all, I’m super impressed by “make arrangements for the Hall to be available.” What does that all consist of? Sitting by a phone? Making sure the water and sewer is still connected? Trying to retain the employees they’ll need to book acts? and bring people downtown to enjoy the music and the newly renovated Hall. These community events will meet the Governmental Program objectives of showcasing music and cultural performances, furthering music education and community engagement, and drawing people to the City to patronize local businesses and restaurants. of such performances. In addition, some groups have expressed hesitation in using the Hall because of interference and pressure of adverse publicity and picketing reportedly threatened against performing organizations. Oh, that’s right, that threat is familiar…because I was the one who made it. Hm. I’m not sure that I would say that, knowing what I do about the somersaults that many local arts organizations had to turn in order to find alternate venues because they couldn’t work with an employer that sees fit to lock out its employees for years on end, but you know, alternate realities are entertaining and fun, so if they make you feel better, who am I to burst that bubble? though ultimate results will depend on the extent and nature of such labor activities which are well outside of our control. Here I am partaking in uncontrollable labor activities…in a floor-length ballgown. Terrifying…yet simultaneously slightly badass. You got to admit, MOA board… Is this not just the slightest bit badass? Slightly? No? General manager Robert Neu said the orchestra will not present any artists in the hall until the contract issues are resolved. Next time, in the exciting conclusion of Happy Fun Exciting Hall Operations Analysis, we’ll visit the gravestone of the Strategic Plan and dissect the gripping non-existent 2013-14 Minnesota Orchestra season. Make sure you join us again! Update: you can read Part 3 here! Awesome. looking forward to Part 3! 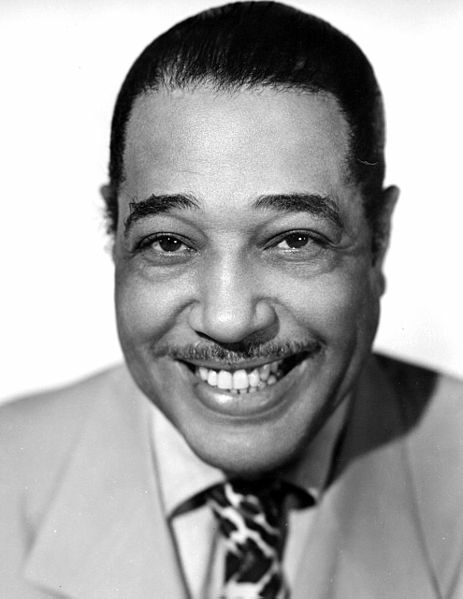 Did they really book Duke Ellington? I mean, he is dead. Like for a long time. Could the MOA have been scammed by an unscrupulous booking agent? Or maybe it’s actually like DukeEllingtonMania. Maybe they can get Roy Orbison too. I wonder if the Faegre firm is also preparing a carefully-reasoned opinion letter disproving the vicious rumor of Duke Ellington’s death. Or maybe Falhaber is drafting that one . . . Awesome and hilarious. If only it weren’t so flipping tragic. Interesting that the MOA has finally discovered marketing as a tool to help fill the hall… Hope they survive the effort, as they have not done anything serious along those lines in years! Emily…I love “Dicky Davis”! LOL Good one! That was his actual name as a child actor. I didn’t come up with that. Big patrons seem very quiet. Wonderful, Emily! Keep it up! As far as this “report” is concerned, Gertrude Stein had it right: There is no there there. I would guess that they’re counting the entire December calendar on the MOA website, which lists ten :-) performances, yes indeed. Six of the ten listed performances are at area churches. My mind hurts, trying to accommodate both 1. Reality and 2. The MOA’s description of their calendar. There are no performances or concerts listed on the website after this jam-packed December, 2013. It just…stops.